I bring this year’s first ever mini reviews! I hope you are ready for it because this one has some ups and downs. Mostly ups, thankfully. 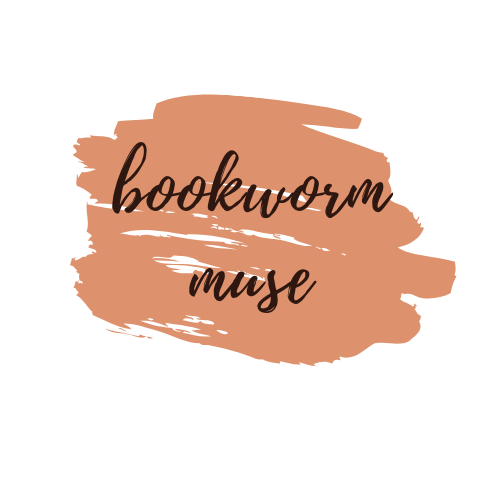 I have had the pleasure and privilege of reading some upcoming releases and some that were released just last month and while I could go on and on singing praises about them, I couldn’t quite structure them the way I wanted to. So, I decided to cut back on waxing lyrical about them and bring you some to the point but still quite gushing over them sort of reviews. I doubt anyone who knows me at this point wonders what my opinions about this book are. I absolutely loved this one with all my heart. In fact, now that I am looking over my notes and reading over my favourite parts of the book again for this review, I am thinking of bumping up the rating from 4.5 to 5. Yeah, that’s how much I really enjoyed it. The story mostly revolves around an inn called The Swan, one night a stranger comes in with a dead child in his arms, the man himself injured and just about ready to faint. The child is declared dead by the people in the pub and even the nurse they bring in thinks that the child is dead however later, the child is alive. That mystery is not the only one to solve in the book, there’s the question of where the child came from, who are her real parents for there are many claims from couples around the place. This story is filled with interesting characters and it’s heavily dependent on the characters rather than the plot itself. There’s never a shocking revelation at any given point nor is there a twist you might not see coming because it is not that kind of book. This story also features the Thames as a character itself, it’s given such an important part in the tale then there’s the fact that it’s always a wonder what people can do with stories given half a chance. There’s magical touch to it all and it’s quiet and not obvious but I loved it all the same. Overall, there’s so much to love about this book and very little to dislike, hence my very fangirly review. Do read it if you loved anything of Naomi Novik or Katherine Arden. There’s everything for everyone in this one. 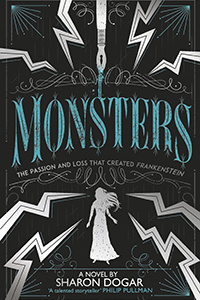 Another fantastic read this month was Monsters by Sharon Dogar. A young adult historical fiction about Mary Shelley. One of the things I really appreciated and loved about this novel was the fact that almost all the characters were given their voices, there was no obvious bad guy. There were bad decisions and its consequences. I really appreciated the lack of extra drama between Mary, Percy and Jane any more than necessary. For a fictionalised version of history, this holds really well as a retelling of sorts. Despite it being called/ categorized as young adult, there are some heavy themes in the book. After all, being young in their time and being young now is vastly different. There’s Percy Shelley’s ideas of love, there’s loss of children and overall suffering of the characters involved. While nothing is sanitized for the comfort of young adult readers, it’s not quite as grim as all that. I really liked the characterizations overall, then there’s the fact that everyone is given a flawed and realistic actions and reactions. Granted I am not an expert in Mary Shelley’s life but to read it as it was written in the book gave me some insights into her life. There were certain things I wasn’t aware of and this helped me gain knowledge of that as well as enjoy the history of it all. Fans of Frankenstein and those who are interested Mary Shelley, Percy Shelley or even Byron should find this an interesting read. The Changthang Plateau lies in the centre of Tibet. A vast, rolling grassland stippled with azure-blue lakes and ringed by snow peaks, it is home to seven-year-old Gongzha and his family who live, as their ancestors have done for centuries, by herding and hunting. But it is 1967 and the Cultural Revolution is seeping across China. Not even the grasslands of Tibet are immune. As the Red Guard systematically loot and destroy Tibet’s monasteries, Gongzha helps hide two treasures belonging to his local temple: an ebony-black Buddha marked with an ancient symbol and a copy of the twelfth-century text the Epic of King Gesar, written in gold ink. The repercussions of his act will echo across the decades. Gongzha will be taken far from home, to mountain peaks and subterranean labyrinths. He will lose love and find it. He will battle wolves, bears, outlaws and his own self as legend and history are interwoven in the story of a young man’s quest to find happiness in a time of uncertainty and unrest. I think I missed the mark with this one. I might re-read it again and see if it agrees with me because the first time didn’t leave a huge impact on me and that’s made me sad because I was expecting to enjoy it thoroughly. It probably has to do with the fact that romance features somewhat more heavily in it than I anticipated. It’s my lack of appreciation in this really. Let’s start with the good things! The setting, Tibet in the 1960s with lives its people being changed in unnamable ways due to Mao’s Cultural Revolution. These people’s lives are very hard, their life depending on their herds and their animals’ health. With their Buddhist beliefs and a touch of older legends, the book frankly read like a fantasy at times but in the best way possible. 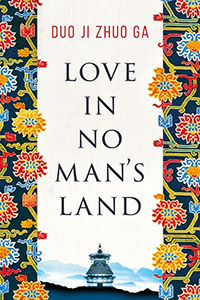 Then there’s the descriptions of the land and the mountains and the author did such a brilliant job of it that it made me want to visit Tibet and the funny/sad thing is I totally could too. It’s not far, after all. I could truly imagine how absolutely gorgeous the places must have been and that sort of made me more fond of the setting than normal. Now, to the not-so-gorgeous things. I think despite being written so brilliantly, I found the plot to be a bit not my cup of tea. It’s a love story at its core and a broken man’s journey towards love and while that seems like a good thing, in recent years, I haven’t really found them to my taste. Then there’s the problem with parts of the book, the first part of it is given such life and vibrance and just when I am getting used to it all, there’s part two. Part two gives us new characters and love triangles and not satisfying closures. So, I preferred the first part entirely. It felt more alive and real to me. Those two or rather 1.5 stars were lost to the second part, truly. As you can see, the format of the mini reviews has changed as well. Well, that was bound to happen, I suppose. There were cases wherein I didn’t want to do a full review of the book but didn’t have enough negative points to add to it and it looked rather odd. So, I made it like this. Here’s to hoping this one works better than the previous one. And those are the mini reviews this time, till the next time! Ooh, if you are interested in any of the things mentioned in the blurbs of the book then you should definitely give them a chance. 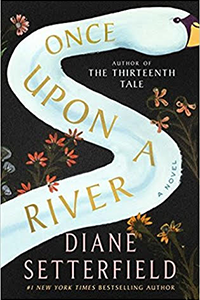 Lovely reviews 😊 Once Upon a River sounds like a wonderful read, I love character driven, atmospheric stories, and the river itself being a character sounds so fascinating! Thank you! It really is, I fell in love with it fifty pages in and had to stop myself from reading it in its entirety at once because I wanted to linger over the book. Right?! I wasn’t expecting it to be as lovely as it turned out to be. The best kind of surprise.